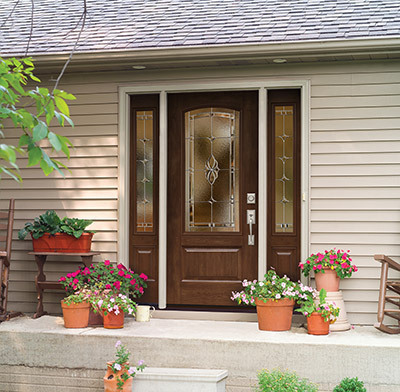 The easiest way to transform your Quad Cities home’s look is to update your exterior doors. Exterior doors experience a lot of wear and tear from daily use and by being exposed to the outside elements. Not only will replacing your exterior doors give your home a new look but it will increase the energy efficiency and, as a result, lower your energy usage. Feldco’s durable and energy-efficient doors are professionally installed to make sure you experience all of their benefits. Get your door replacement project started with Feldco today! 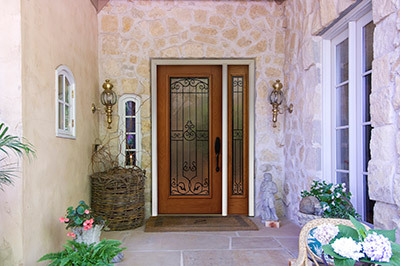 Feldco offers a variety of exterior doors from entry doors to patio doors. They’re energy-efficient and custom made with your design and style needs in mind. 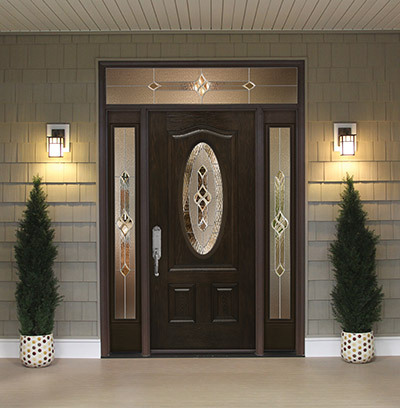 Our entry doors come in a variety of style options so you can create the perfect door for your home’s exterior. 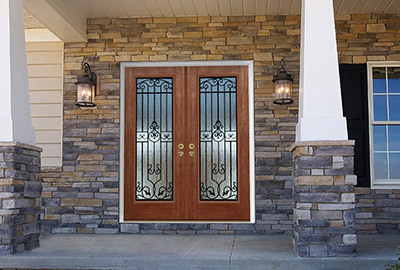 We carry both steel and fiberglass entry doors and offer realistic wood grain finishes and a variety of colors to best complement your home. Whether you choose steel or fiberglass, you will receive the best in energy efficiency and durability. 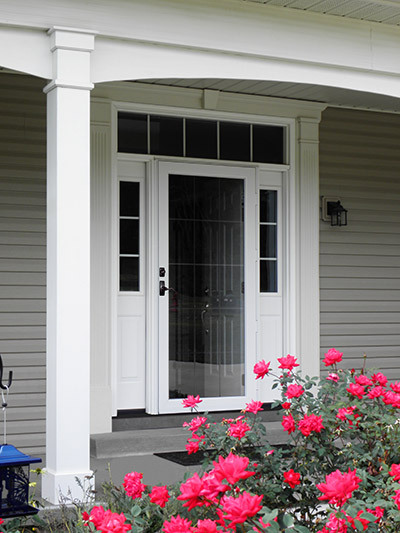 Protect your new or existing entry door by adding a storm door to your home’s entry way. 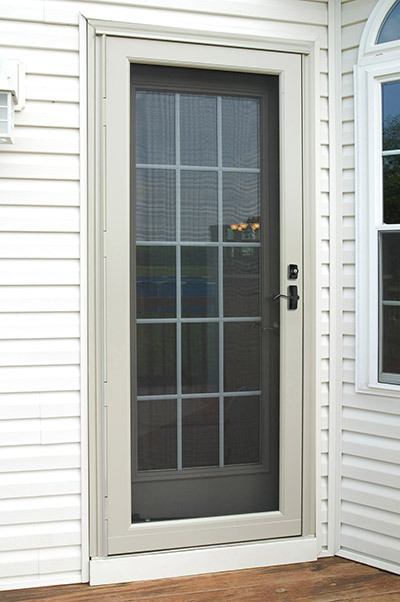 Storm doors are a great way to shield your door from the outside elements and they offer extra ventilation options. Not only can storm doors be a great way to lower your energy bills, but with a variety of color options, you can create the perfect storm door to fit the style of your home. Not only is a patio door used to access a deck or balcony, but they are also a great way to add more light to your home. Depending on your style preferences, you can choose between a swinging or sliding patio door. Regardless of which style you choose, it will be a great addition to your home! French patio doors are also known as swinging patio doors. They are hinged and can open in or open out. Swinging patio doors are a great way to accent any room and let light into your home. With a variety of options to choose from, you’ll be sure to find a French patio door perfect for you. Sliding patio doors are a perfect option for any room that opens up to a balcony or a deck. 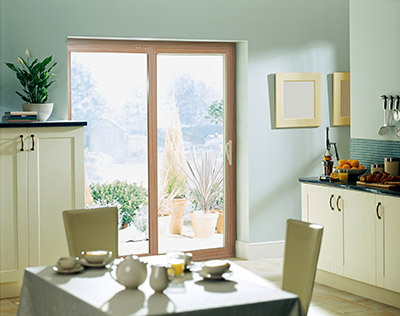 Our sliding patio doors can be 2 or 3 panels and operate smoothly to allow easy access to the outdoors. Sliding patio doors a great choice for rooms with limited space as they allow a great amount of light into your home to make it seem brighter and bigger! Having a properly installed door is just as important as the one you choose. From removing your old door to showing you how to operate your brand new door, your team of door installers will ensure everything is done properly and goes smoothly leaving you with a beautiful finished product. You can be rest assured that all installers are factory trained and are among the best in the Quad Cities area. They will take the utmost care of your home and all you have to do is sit back, relax and enjoy your new door once it is all done.